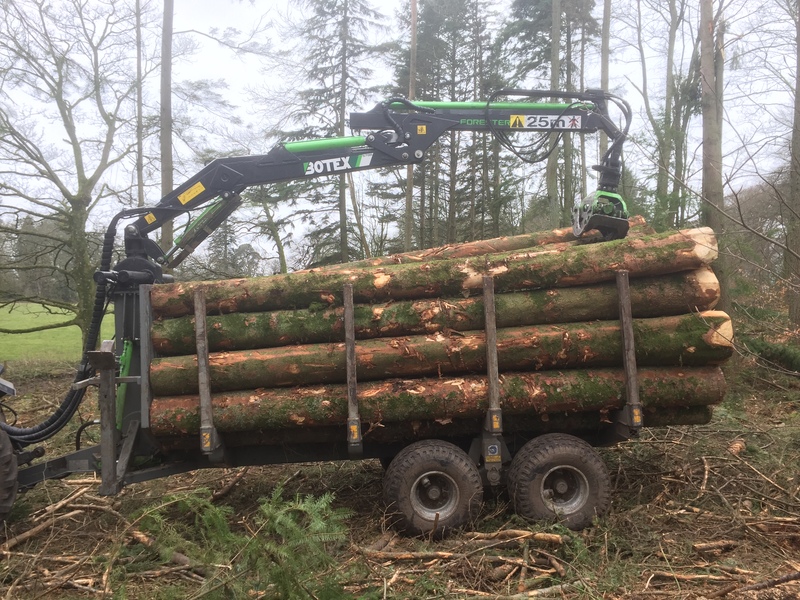 The Botex Euro trailer is our best selling fixed length Forestry Timber Trailer. 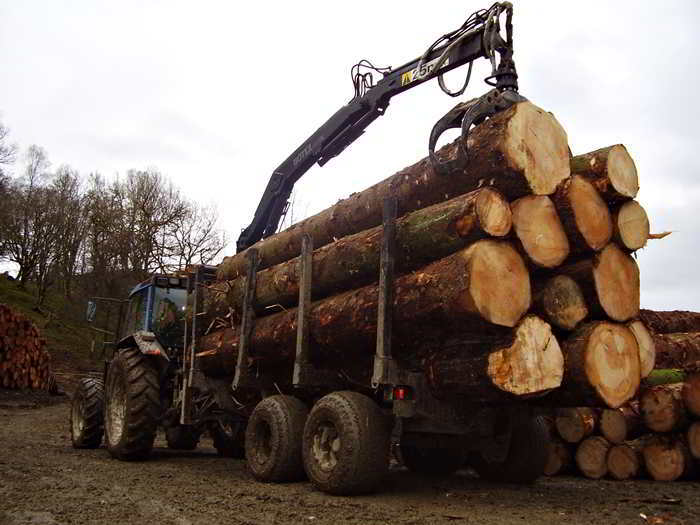 This Forestry Timber Trailer is capable of carrying loads of up to 11 tonnes. 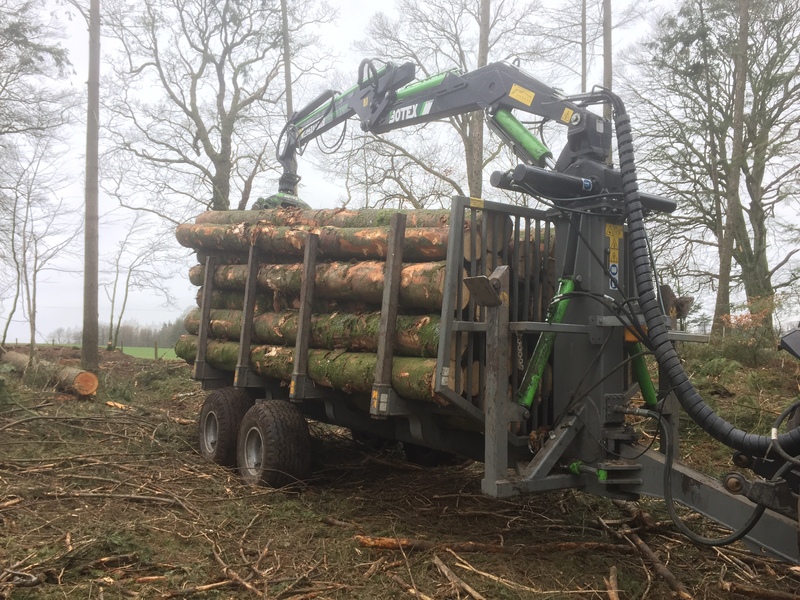 This straight pinned forestry trailer is a popular all-round trailer, fitted with 400/60/15.5 heavy ply flotation tyres with reinforced rims. These standard tyres are a great combination both on and off road. 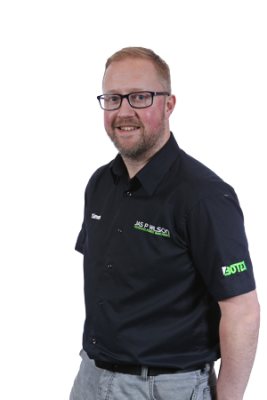 Other tyre options are available, please discuss your requirements with our product specialist. 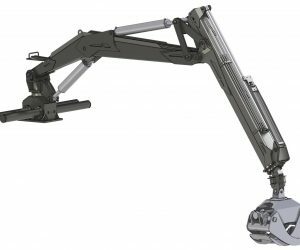 The 11T Euro has been our long standing best seller, a robust design capable of performing day in, day out. 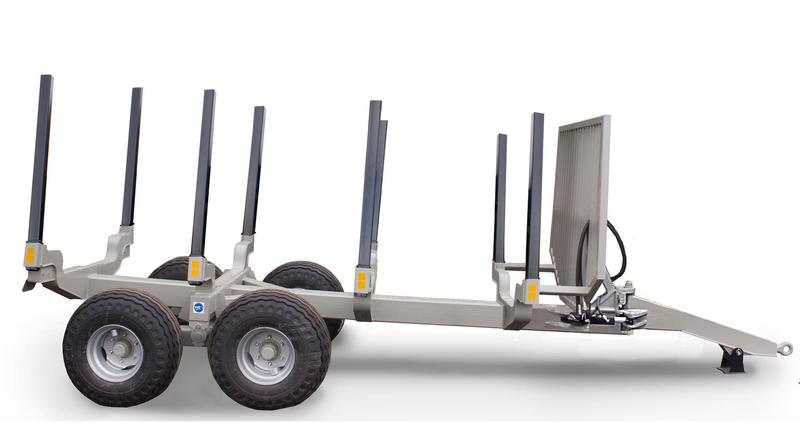 We have since added a number of other models to the range, including extending bed length trailers, but the 11T has remained as popular as ever with those looking for a fixed length trailer. 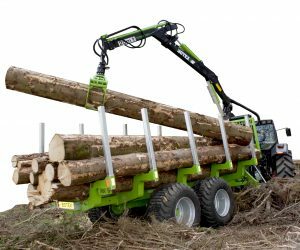 This Forestry Timber Trailer comes fitted with a steering drawbar, allowing this fixed length Forestry Timber Trailer to easily turn in narrow forest tracks or in tight firewood yards. 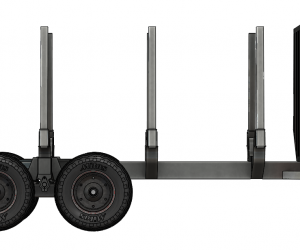 Also as standard, these trailers benefit from rear LED lights. 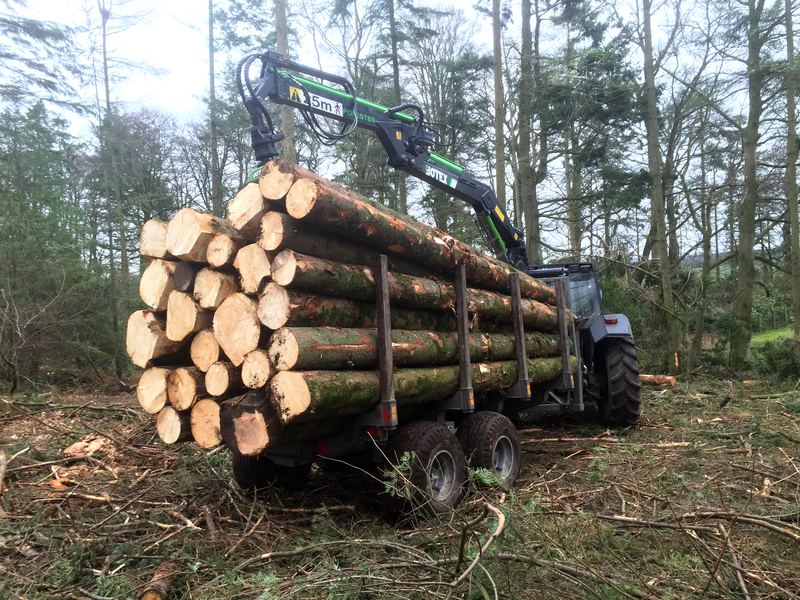 The trailer can be fitted with a heavy duty 560, 570 or 580 Botex loader to provide a great all in one machine. 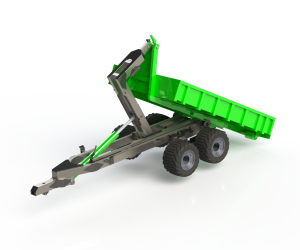 However, this loader could instead be fitted to Valtra Tractor. 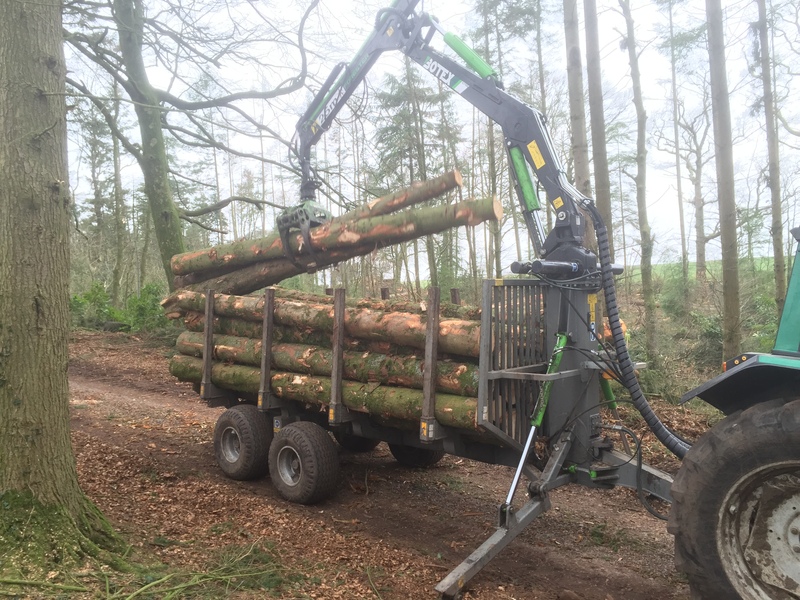 We mount these using our Roof Mount Framework which also provides forestry guarding to the tractor, please see our Roof Mounted Valtra options.